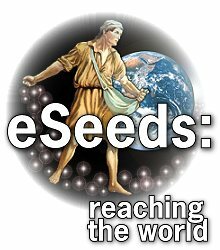 eSeeds For The Garden of Your Heart: Just Try! Mrs. Burrell, my fourth-grade science teacher, often visited the students in her class at night to teach them how to identify the various constellations. Now and then she would ask, “Well, how many stars can you count tonight?” No one was ever able to give an accurate accounting. But, we would giggle and make up some unreasonable number just to humor her. However, on a clear night, it is possible to see about two thousand stars. With some of the large telescopes now used to research the universe, astronomers can take a photograph and count about thirty billion. Even so, there are still many more billions that are beyond the power of the eye of the telescope. Sir James Jeans once suggested that there are as many stars as there are grains of sand on all the beaches of the planet. So, there’s a good reason why no one has been able to number them. Except One. “He determines the number of stars and calls each by name.” Now, that may be difficult to believe. But, when we realize His power and might and majesty, it fits right into His character. Numbers, however, are not as important as His love. However, our great God, Who created and named the stars and hung them in orbit, is more interested in us than He is in His stars. In fact, He loved us so much that He gave His only Son for our salvation. This God of measureless might is also a God of limitless love. And this very God extends an invitation to us to become one of His children. Prayer: How blest we are, Lord, that we are of such value to You that You willingly gave Your Son to save us. In Jesus’ Name, Amen. Scripture for Today: Psalm 147:4 He determines the number of stars and calls each by name.